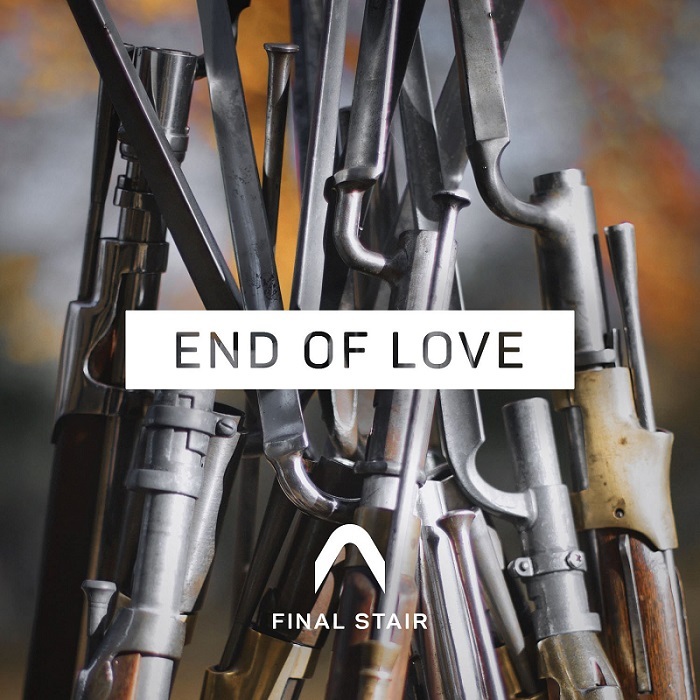 Home / brand new / brand new artist / Final Stair / música / Final Stair Unveil New Single "End of Love"
Final Stair Unveil New Single "End of Love"
Rock trio Final Stair have just unveiled their brand new single End of Love, a dynamic piece of indie-pop/rock music. I like how the song started smooth with a delicate string section backing up the guitar chords and those rich vocals. Then the song builds into an energetic piece of rock music with infectious melodies packed with punchy drums and powerful guitar works. It's a dynamic piece of pop-infused rock music on which an emotional and intimate sound during verses explosively changes into an epic wall of sound in choruses. Stream it below! Final Stair create an audacious sound, combining pop, modern rock, post-rock, stoner rock and blues. Their songs capture bold, genuine and direct tones. The band is comprised of twin brothers and their best friend.